If you failed to make payment for the subscription fees after 7 days of expiry date, your account will be suspended. 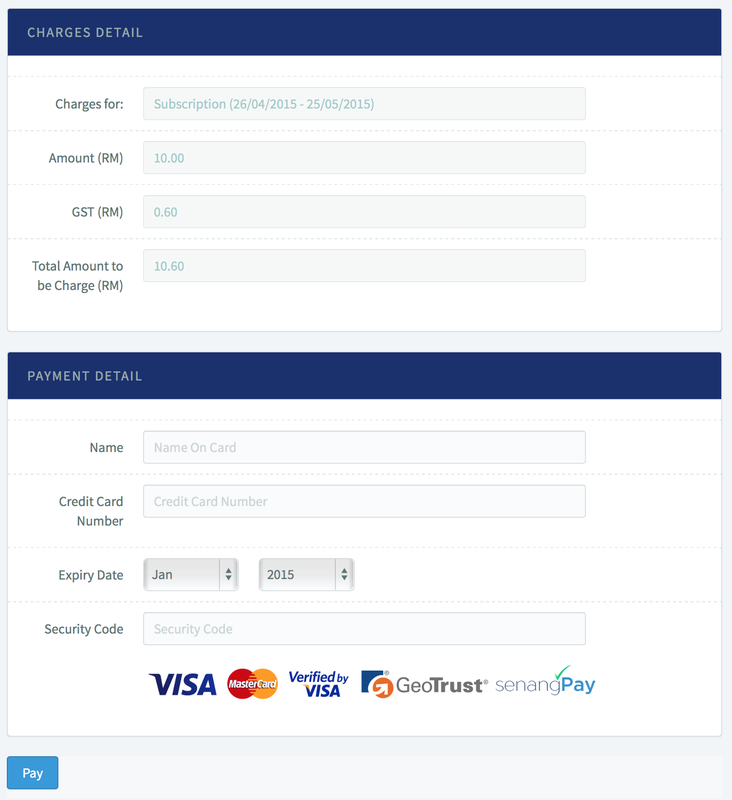 Please proceed with payment so that you have full access of the senangPay Dashboard. 1. To make payment, simply go to “Charges”, click “List”. 2. You will see a list of charges that senangPay charge to you for the services. 3. Click at the “Pop Up” icon. 4. You will be directed to a payment page. Choose either to pay with credit / debit card or Internet Banking (FPX) and proceed for payment. We are currently not supporting any offline payment.